Norma Elia Cantú earned a bachelor’s degree from Texas A&I University (now Texas A&M International), a master’s degrees in English and political science from Texas A&I, Kingsville (now Texas A&M, Kingsville), and her doctorate from the University of Nebraska-Lincoln. Trinity University has appointed Cantú, a prominent Chicana/o and Latina/o cultural studies expert and author, as the Norene R. and T. Frank Murchison Endowed Professor in Humanities. 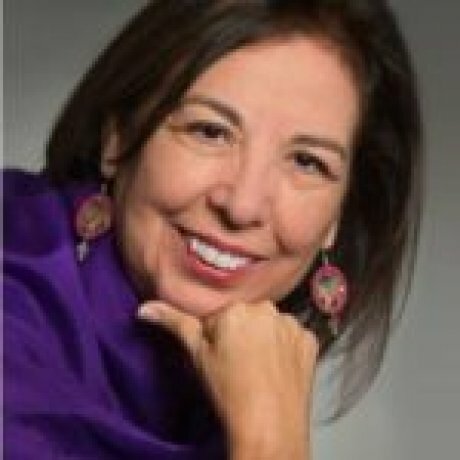 She is professor emerita of English and U.S. Latina/o Literatures at the University of Texas at San Antonio. Her teaching career also includes a 20-year tenure on the faculty at Texas A&M International University in Laredo, Texas. Cantú’s research and creative writings focus on the cultural and literary production along the U.S.Mexico borderlands. She has published scholarly articles on a number of academic subjects as well as creative poetry and fiction. Her publications on border literature, the teaching of English to nonnative speakers, quinceañera celebrations and the matachines, a religious dance tradition, have earned her an international reputation as a scholar and folklorist. She has co-edited four books and a collection of testimonios by Chicana scientists, mathematicians, and engineers. Her award-winning Canícula: Snapshots of a Girlhood en la Frontera chronicles her childhood experiences on the border. Cantú is active in a number of Latina/o organizations, including the Latin American Studies Association (LASA), Mujeres Activas en Letras y Cambio Social (MALCS), the National Association for Chicana and Chicano Studies (NACCS), the Chicana/o and the Latina/o Sections of the American Folklore Society (AFS), and the Chicana/o and the Latino Literature and Cultural Studies Forums at the Modern Languages Association (MLA). In addition, she served as a senior arts specialist at the National Endowment for the Arts, Folk and Traditional Arts Program, and is the founder of the Society for the Study of writer Gloria Anzaldúa and conference coordinator for the Society’s El Mundo Zurdo gatherings. She is also co-founder of CantoMundo, a Latina/o poetry workshop. “Teaching the Teachers: Dismantling Racism and Teaching for Social Change.” With Elsa Cantú Ruiz. The Urban Review. 45.1 (March 2013): 74-88. “Getting There Cuando No Hay Camino (When There Is No Path): Paths to Discovery Testimonios by Chicanas in STEM.” Equity & Excellence in Education. 45.3 (2012): 472-487. “Doing Work That Matters: Gloria Anzaldúa in the International Arena.” Signs. 37.1 (September 2011): 1-5. Ed. Paths to Discovery: autobiographies from Chicanas with Careers in Science, Math, and Engineering. Seattle: University of Washington Press (2011). Ed. Inside the Latin@ Experience: A Latino Studies Reader. New York: Palgrave Macmillan (2010). Moctezuma’s Table: Rolando Briseno’s Mexican and Chicano Tablescapes. College Station: Texas A&M University Press, 2010. Ed. Dancing Across Borders. Urbana: University of Illinois Press (2009). “Chicana Life-Cycle Rituals.” In Chicana Traditions, Continuity and Change. Urbana: University of Illinois Press (2002). Ed. Chicana Traditions, Continuity and Change. Urbana: University of Illinois Press (2002). “La Quinceañera: Towards an Ethnographic Analysis of a Life-Cycle Ritual.” Southern Folklore. 56.1 (Jan 1, 1999): 73. Canícula: Snapshots of a Girlhood en la Frontera. Albuquerque: University of New Mexico Press (1995). “Women, Then and Now: An Analysis of the Adelita Image versus the Chicana Political Writer and Philosopher.” National Association for Chicana and Chicano Studies Annual Conference. (January 1, 1984). Paper 4.